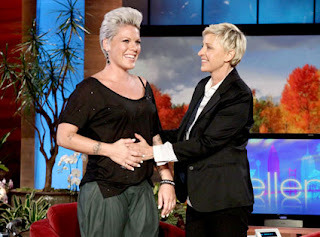 And then this past week Pink also announced that she's pregnant - which of course happened on The Ellen's show (you know the deal, she is "The Ellen" to me, but yes, it was the Ellen DeGeneres). 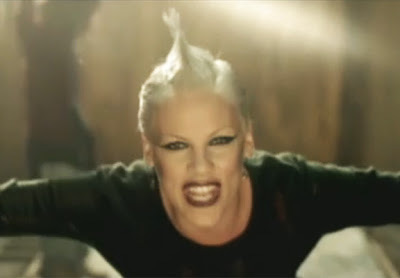 Pink has been on the show many times and Ellen often plays Pink's songs. 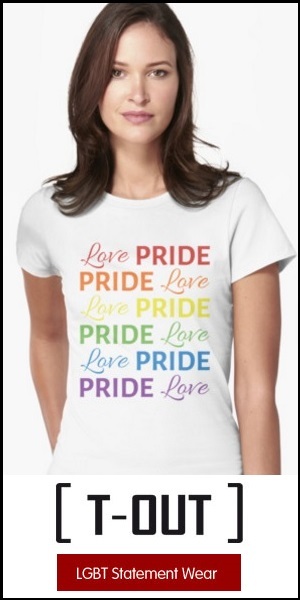 Generally, both Pink and Ellen speak very highly of each other and seem to have mutial admiration, so it was an obvious choice, but a great one none the less. I know Rooney Mara got the part and production has started, but Pink could've given the role the same fierce and believable attitude that Noomi Rapace gave it. I will keep my mind open about Rooney - especially since David Fincher is directing the remake - but Noomi was beyond amazing and will always be Lisbeth Salander to me. For the record, I have seen Rapace in other roles, and she is always amazing. And according to rumors, she's in talks to star in the 'Alien' prequel, and there's no doubt she will have some equally brilliant roles in her future. ﻿And she can be just as cute and beautiful as she is fierce and talented.